Soak rava in water for 10 - 15 mins. Grind together rava, coconut and salt to a smooth batter. Add the cumin seeds to the batter and mix well. 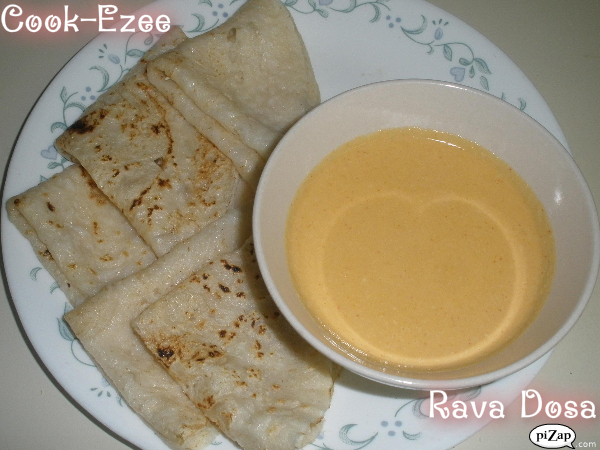 Heat a non-stick pan, pour a ladle of batter and rotate clock-wise to make round dosas. Turn over when the dosa is light brown color. Remove from the pan when done. Repeat the process to make required amount of dosas.